A summer vacation is the best time for travelling and… education! 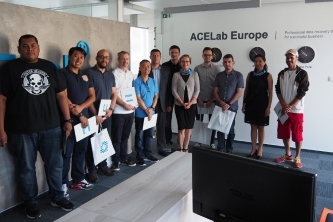 Another dozen of training sessions has been conducted for the ACE Lab customers at the class in Prague, the Czech Republic. Over the last 2 months, data recovery specialists and digital forensics experts from many countries attended our Training Courses. At these courses, students learned how to solve the most widespread tasks, as well as the most difficult cases on their own. In spite of the different proficiency levels, each participant showed excellent results upon the completion of the training sessions. 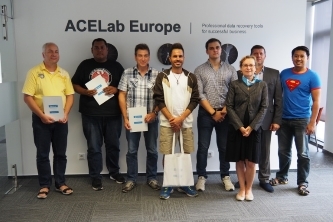 All of them received the official ACE Lab certificates. You can see more testimonials on other training courses here. Participating in our events and seminars is a great way to stay on the cutting edge of all the recent technologies and prepare for any data recovery challenge. Our training sessions help every data recovery specialist and digital forensics expert to come home much more experienced and qualified. If you want to learn about our training programs or reserve your attendance at the upcoming training, please contact our Training Coordinator Ms. Kate at service@acelab.eu.com.